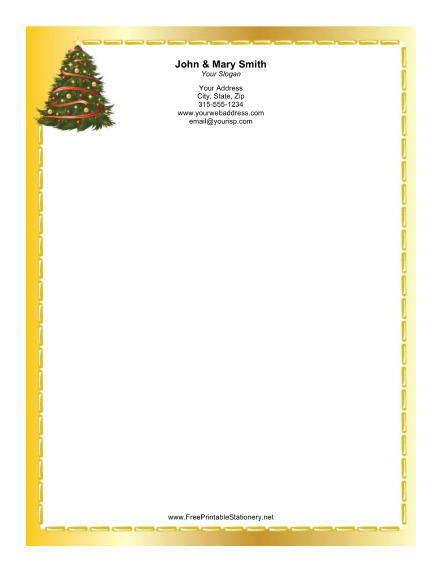 A Christmas tree is the main feature of this attractive stationery. The tree has decorations and garlands, and is topped with a gold star. It is surrounded by a gold border, completing this beautiful Christmas scene that will add a special touch to any letter in the holiday season.